This was the opening game of the county league for both teams. The Rocks pitch was unplayable and the game took place in Kilcoole. 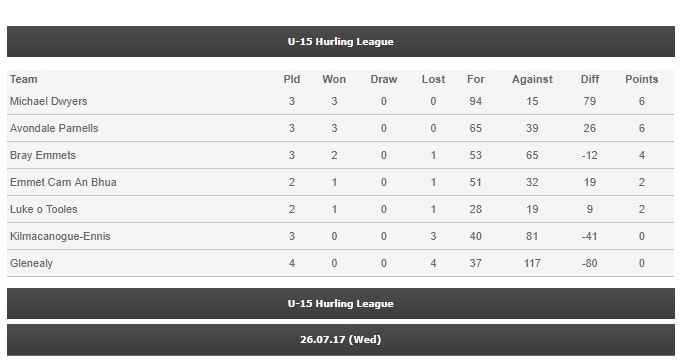 With both teams still in the playoffs in the Leinster Hurling League this was expected to be a close game. The first quarter of the game was fairly even, with both sides trading points. Then disaster struck for the Rocks as they conceded a soft goal and 3 easy points from play. 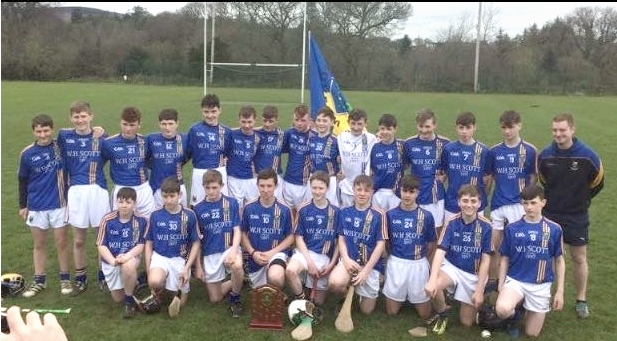 At Half time Kilcoole led by 1 – 6 to 0 – 4. From the Rocks point of view the second half is best forgotten about. They failed to get their first score of the second half until five minutes from the end of the game, a point from Paddy Mellon. In the meantime Kilcoole scored 13 points, 11 from play and 2 frees. Kilcoole players were first to the ball in all positions on the field, they found their men with ease and their striking was far superior than the Rocks. Thank you Mary Geraghty for the photos. Maynooth started the match in whirlwind fashion and had the ball in the Rocks net on their first attack. They were quicker to the ball all over the pitch and their running off the ball had the Rocks backs in serious trouble. Maynooth had two more goals and four points in the first 15 minutes of the half, before the Rocks got off the mark with a point from Conor Doyle. The Rocks were coming more into the game but all their efforts only added a further three points from Tiernan Mellon, Conor Doyle and T.J. Byrne. Maynooth added a goal and five points before the break. The score at half time; Rocks 0 – 4 Maynooth 4 – 9. The Rocks opened brightly in the second half and gradually began to claw their way back into the game. T.J. Byrne led the way with three goals and was most unlucky with a few other attempts. Both teams had a player sent off on straight red cards. With 15 minutes of the second half gone, three points from Jason Redmond and one from Tiernan Mellon gave the Rocks some hope of a win. Ill-discipline by the Rocks, who had another player sent off on a red card with six minutes to go, was punished by points from frees for Maynooth and this kept them ahead until the final whistle. 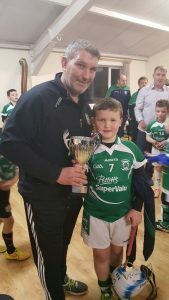 After both recieving semi final bys, Arklow Rocks played host to Saint Columba’s of Kildare in the Cross Border Championship final in Pearse Park. Both sides were well prepared and eager to hurl and a highly entertaining game insued. It was nip and tuck for the start of the first half with both defences proving highly efficient especially the two O’Murchú brothers, Liam and Donnocha, who where solid in the full back line for “D Rocks”. The break through came when the trojan center back, Kyle Byrne drove a long ball out and the nippy Tiernan Gahan got the ball and took off. He soloed through and put the ball in the roof of the net! He then added another point! St Colomba’s battled hard and soon got a goal of their own. Straight from the puck out “D rocks” battled hard through Adam O’Farrell and Aarron Keogh and the ball broke to Cian Redmond. He pulled to the back of the net, oldstyle stuff at its best. Half time score ARP 2.1 – Sr Columba’s 1.0. The Kildare side started brightly and scored 1.1 without reply but it was like pressing a trigger for “D Rocks”. As they upped their levels through some fine plays led by the able hands of Patrick “Padge” Shaw. 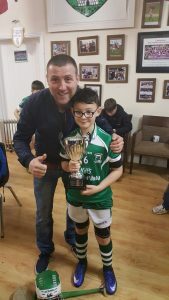 He put over a point worthy of the television before Adam O’Leary found his wings and took flight rattling the net and putting the Rocks back in front. 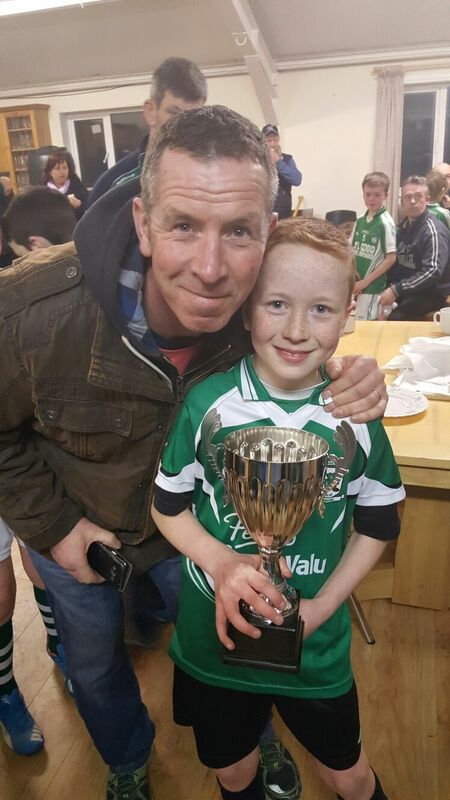 Young Gahan then added another goal before Redmond struck again sealing a fine win for this very young Rocks team. So the Cross Border Cup goes to the young men of D Rocks! 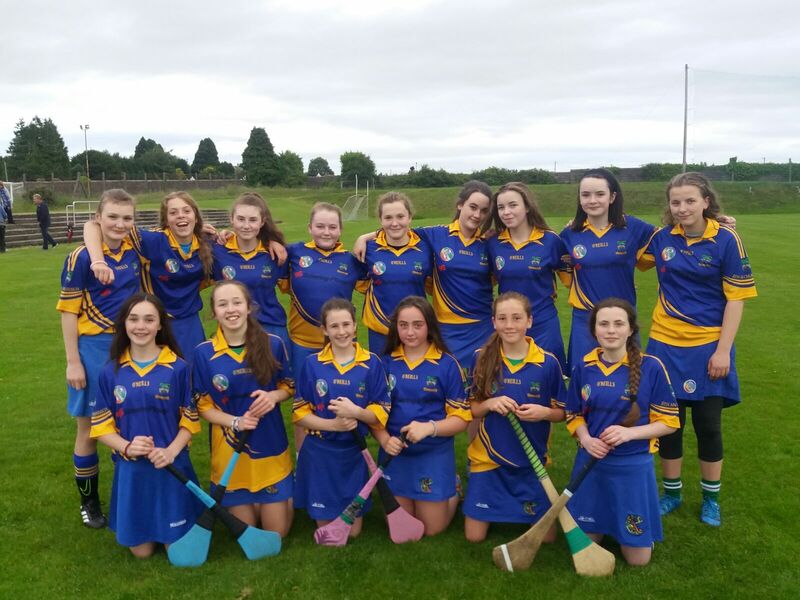 As the season come to an end for our U14 Camogie Team, we would like to thank all the girls and everyone involved for their hard work and dedication. 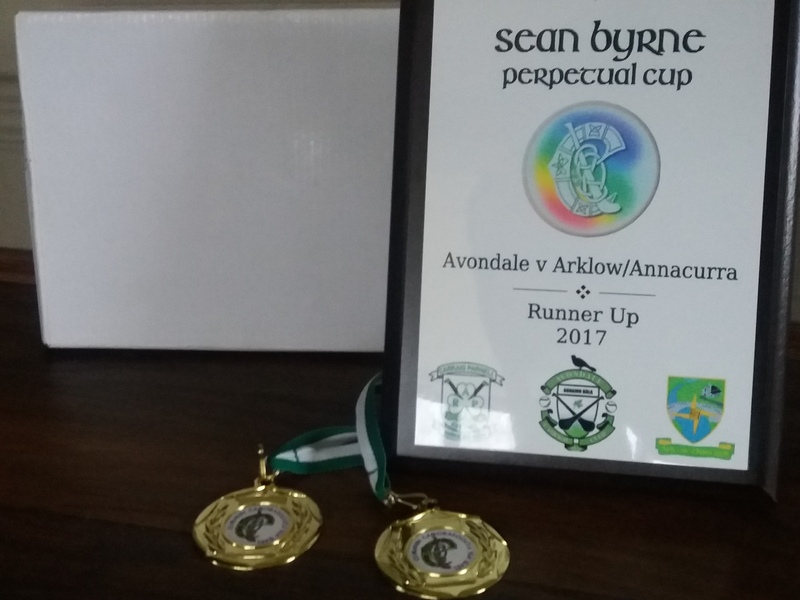 Thanks to Avondale for a fabulous presentation for the girls and Camogie Clubs. A great match followed by tea and cake what more could you ask for ? W ell done to all. These girls are amazing. They started the beginning of the year without a full squad. Some of these girls are playing Camogie for the first time. They are so committed and give their all, no matter what, just like their coach! A great performance at the final Blitz of 2017 from our superstars. All the hard work, training and practicing definitely showing. 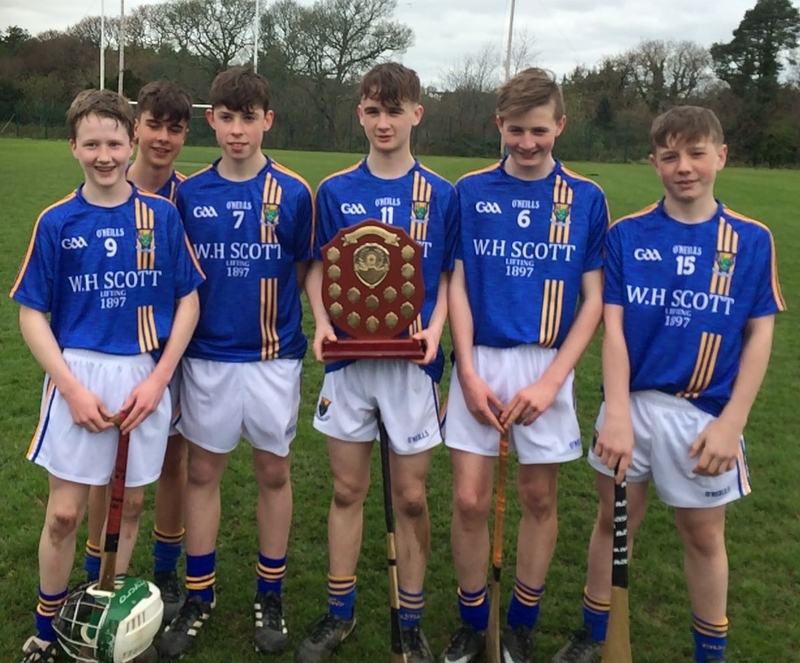 Another great result for these under 15 hurlers which reflects the effort they put in. Only goal difference keeping them from the top. The final score was GLENEALY 2-4 V 4-14 AVONDALE PARNELLS. Even after two days of camp these girls turned up with spirit and determination that not even the torrential rain could dampen. 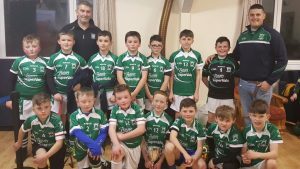 UNDER 8s: Another blitz where this team are undefeated. This team is getting stronger and bigger with every blitz. Great to watch….well done Littlest Rockettes! 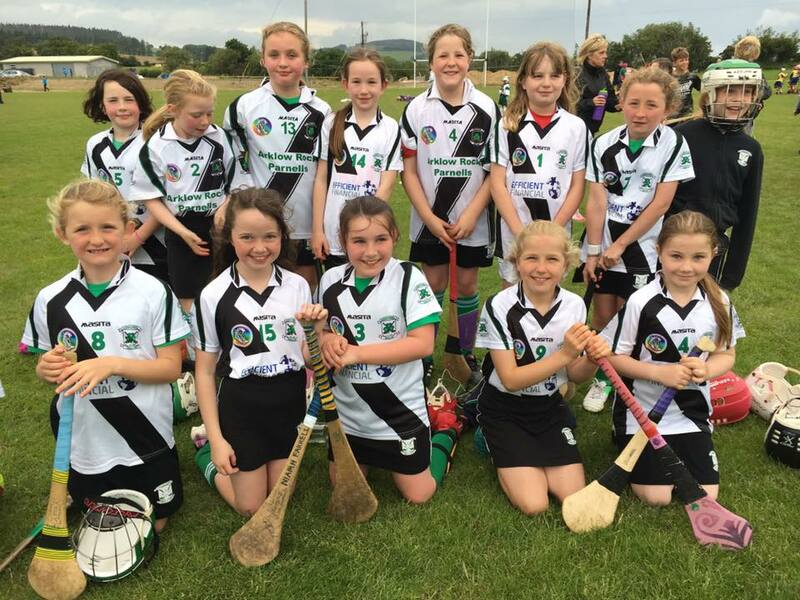 UNDER 10s: The team is playing great together and it shows in the results as they were undefeated too in this Blitz. Welcome back to Poppy Heald who has been on crutches for several weeks. Keep it up Little Rockettes! 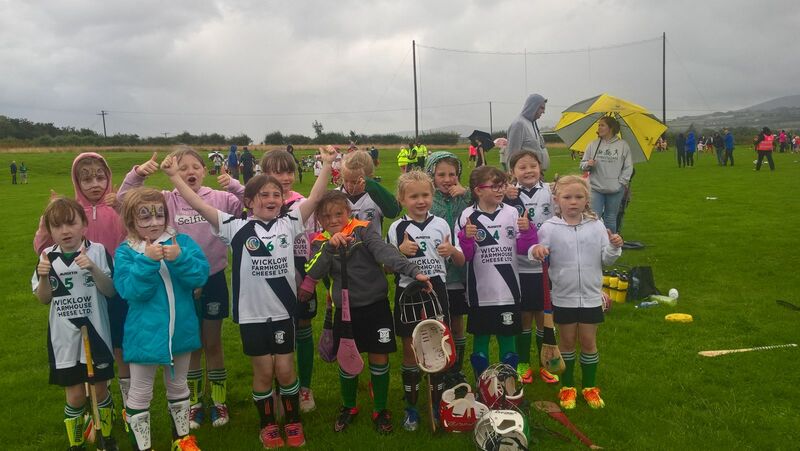 And finally…..a huge thank you to all the mums, dads, grandparents who stood in the rain with me to support and cheer our girls on. You are fabulous too! There seems to be no stopping the Rocks at the moment. A great game well won for the home team with a final score of ARKLOW ROCK PARNELL 6-4 V 1-7 AUGHRIM. Still top of the league, y’up the Rocks! 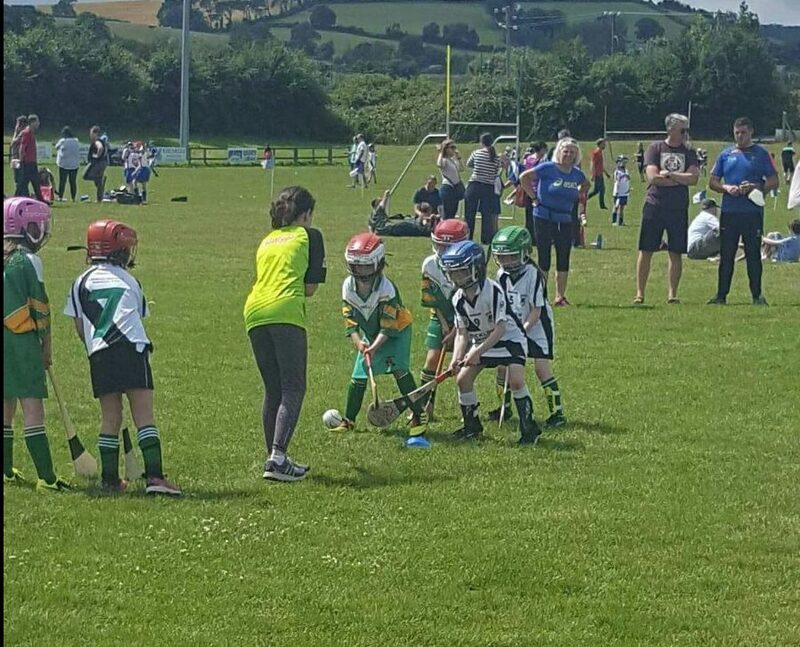 A well organised blitz by Ciaran and his team at EireÓg GAA on a glorious day. The colour coded pitches is an idea I will be stealing. UNDER 8s: This squad is getting stronger and all that training is paying off. Undefeated in this blitz the girls played well not only individually but as a team which is joy to see and coach….go Little Rockettes! 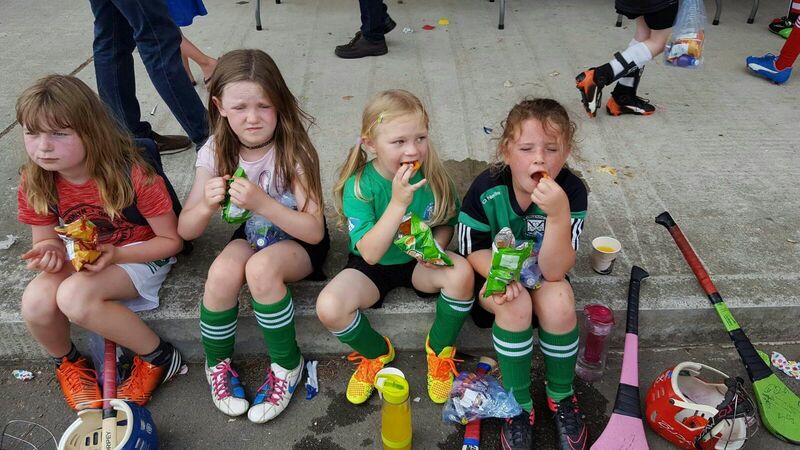 UNDER 10s: These Rockettes played some tough matches and got good results even though some of the squad were absent. 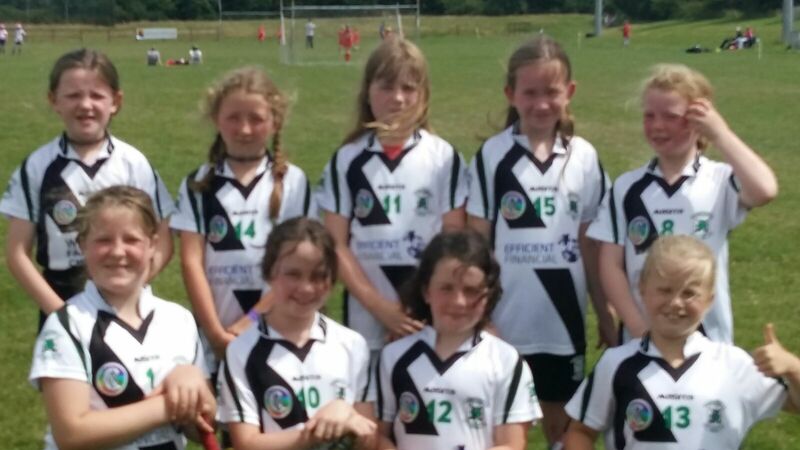 Well done to all the girls but especially Aoibhe Merrigan who stepped up from the U8 to play for the U10. Thank you to all the girls for playing their all. Keep it up, Little Rockettes! Also, a big thank you our mums and dads for travelling, coaching, helping and taking on tasks that I have not got enough hands to do. You really are a fabulous group. So it should not be so surprising that your girls are so awesome! In a squad that is ever growing, it seems that the biggest problem this team faces is there not being enough jerseys to go round. A well played and won game by the Rocks. Final score 1.2 to 3.7 to Arklow. Staying at the summit. Yup the Rocks! 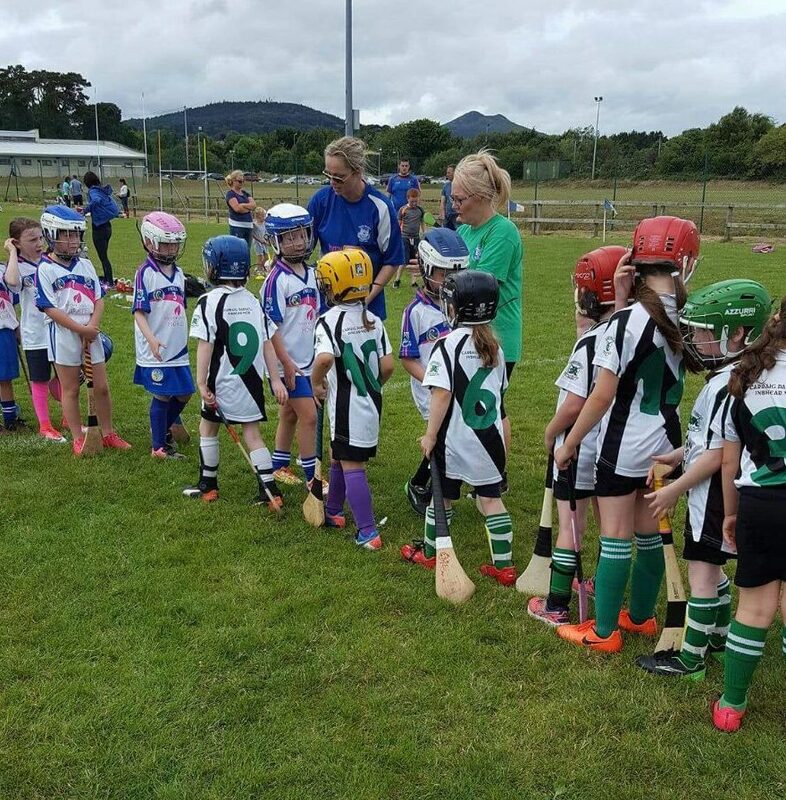 UNDER 8 and 10 CAMOGIE BIGGEST EVER BLITZ! 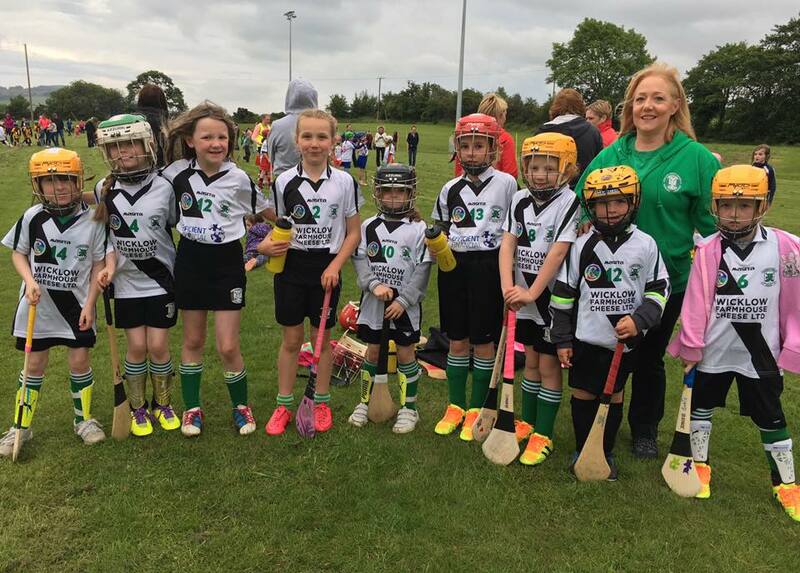 Over 300 U8 + U10 Camogie players along with their parents families and supporters descended on Ballinakill for this year’s 1st Massive All County Blitz With 30 teams taking part it was a hectic, action packed evening! Our Rockettes played fantastic, winning most of their games and enjoying it more and more. Well done to our brand new Rockettes. This was a big setting for their first blitz and they all smashed it. 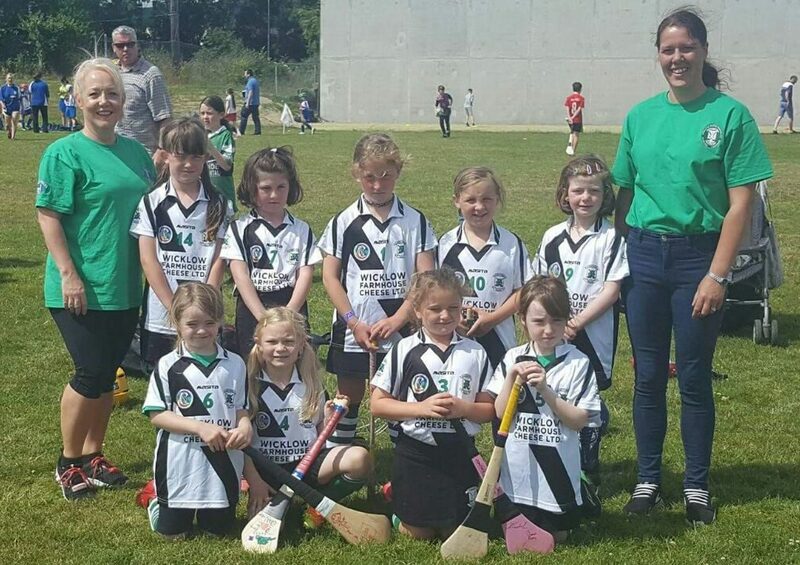 BIG WELL DONE to the future stars of Wicklow Camogie who took centre stage! 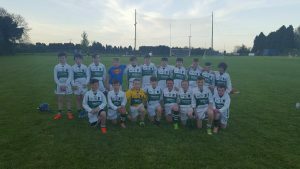 U14 Currarocks v Éire Óg Greystones. 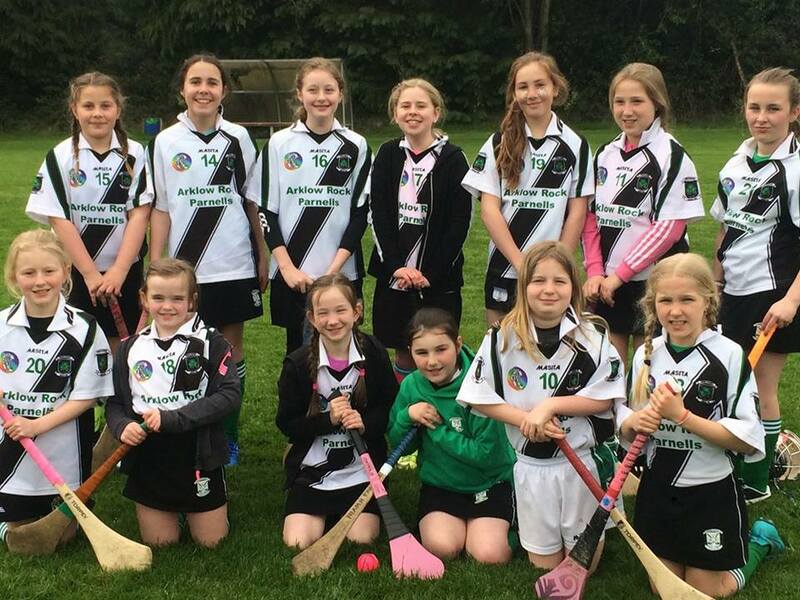 Currarocks U14s Camogie team had a good win tonight against a competitive Éire Óg team from Greystones. They battled hard the whole way to the finish and put in some very good performances. Well done to all the girls! 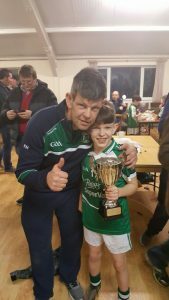 UNDER 11 LEAGUE CHAMPIONSHIP – TIP TOP ROCKS! U11 arp v eire og greystones. Before the match the Rocks lay second in the league to Greystones having both won three from three but the Greystones men having a superior points difference of six! A tough test lay ahead with the Rocks missing a few through injury. It was going to be a up hill task! Greystones got off the mark early and went in to a 1.1 lead! The Rocks troops rallied and pulled two points back! Great goalkeeping by an outstanding Rock No1, Kian Fluskey, inspired the lads out field and they got two goals before half time! Half time 2.2 to 1.1! In the second half the Rocks and Eire Óg both battled hard. It was nip and tuck all the way! Eire Óg got a goal and put us on the back foot but it was brothers in arms in the full back line and they drove the Rocks’ forwards to score 1.1 without reply! Final score 3.3 to 2.1. Back to the summit yup the Rocks! Rocks turn up the temperature and burn Glenealy! 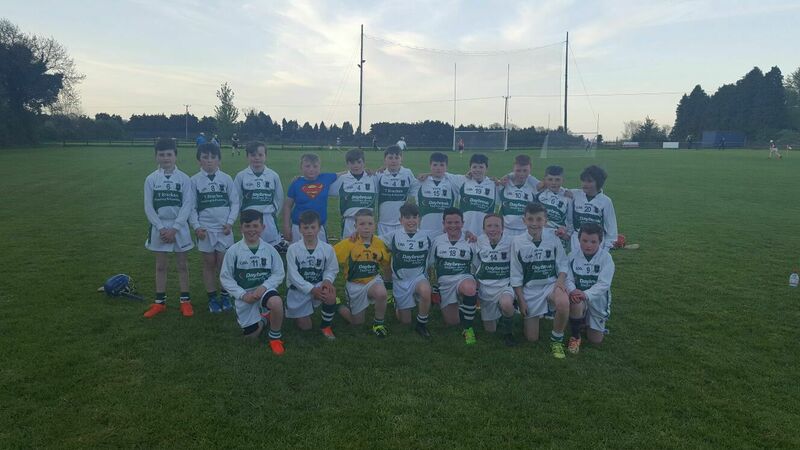 After an anxious start in the league debut against St Partick’s, the young men of Arklow Rocks, (kindly sponsored by Daybreak, Stephan Burke) turned on the style from the very start in Glenealy tonight. In true rocks style they HOOKED, BLOCKED AND ROCKED Glenealy. The team performed excellent and went in at half time 3.3 to 0.1! In the second half the boys yet again drove on continuing to hassle every Glenealy man! In the end it finished 7.3 to 2.2 in favour of the Rocks. Well done lads keep up the good work and effort. 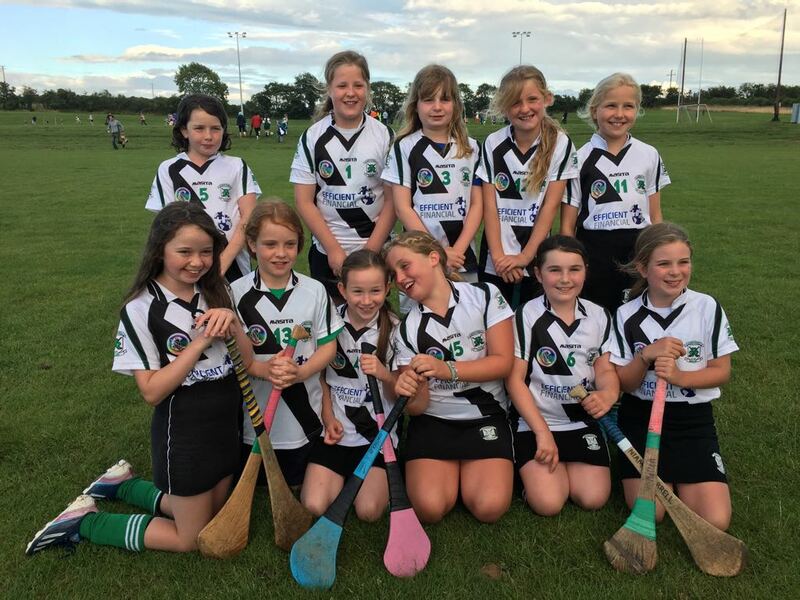 Our super under 12 Rockettes played great in their second Blitz tonight. Well done girls! The third and final Blitz will be on Friday, 5th May 2017 on home ground starting at 6:30pm. 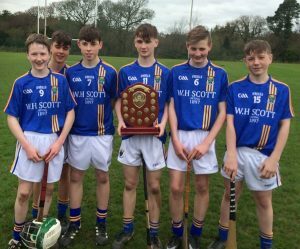 Well done to the Rocks players who were part of the Wicklow Schools hurling team that won the South Leinster “C” final today in Bunclody. Wicklow Schools defeated Presentation DLS Bagnelstown with the final score 1-12 to 1-08. 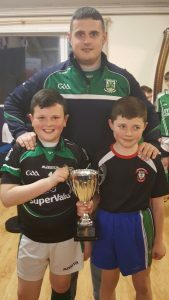 Liam Somers, Jordan Kelly, Torna Mulconroy and Shane Browne. A special mention to Liam Somers who scored 1-01 and PJ O’Connor who scored 0-09 points…….that makes 1-10 scored by the Rocks men! 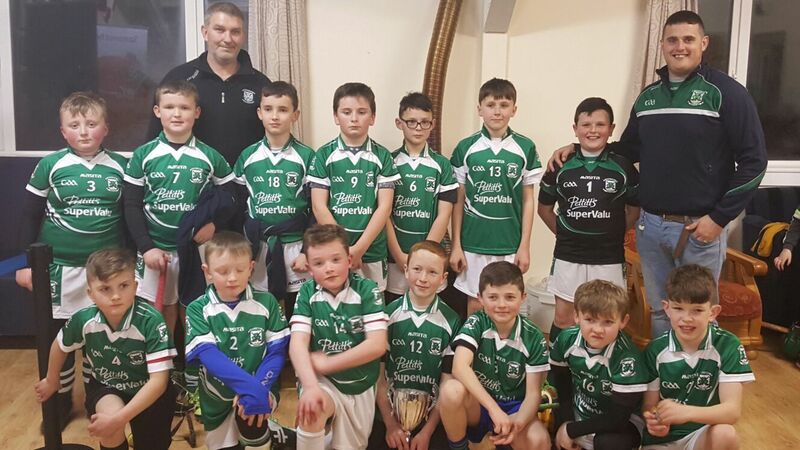 The Castletown Liam Mellows indoor hurling tournament hosted by Cullen’s Fruit and Veg is now an annual event in the Gorey District diary and kicks off the hurling season. 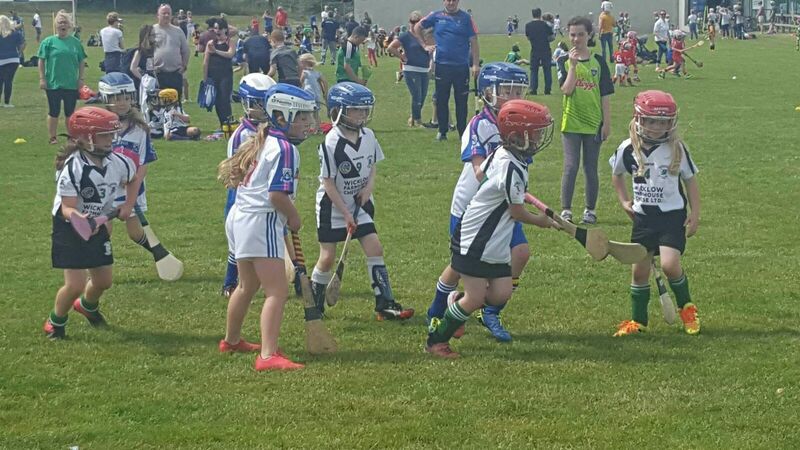 It has grown from strength to strength and this year saw many clubs taking part over the five weeks covering three different age groups. 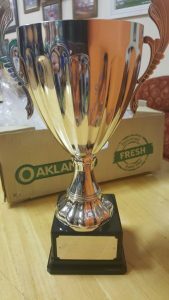 A couple of weekends ago saw the tournament come to its conclusion with semi-finals and finals taking place. 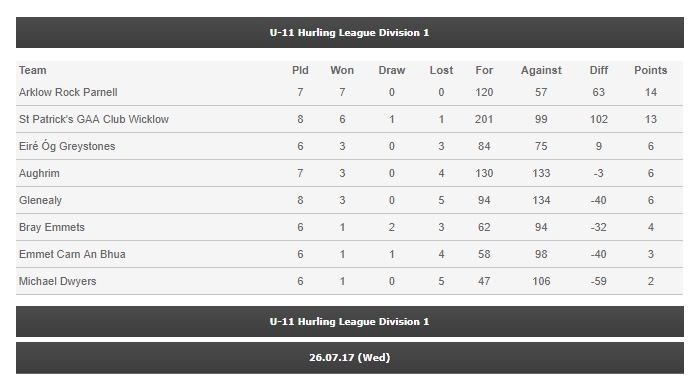 A successful tournament all round for the Rocks with the under 12 team and the under 14 team reaching the semi finals. 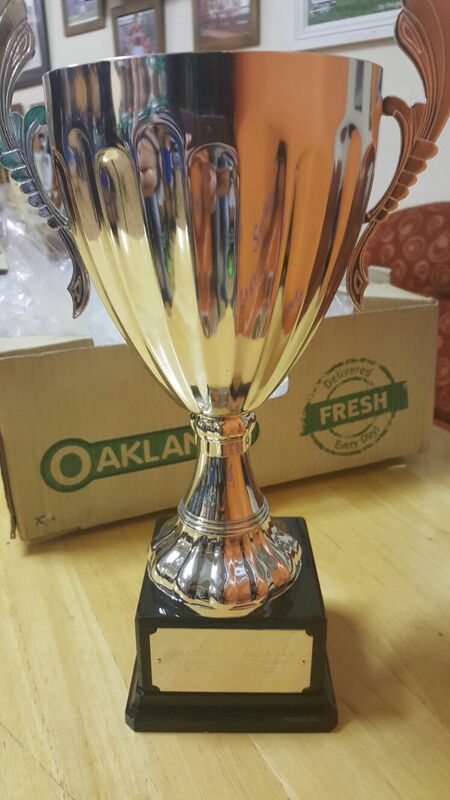 But the first silver of the season has been brought home by our under 10s. 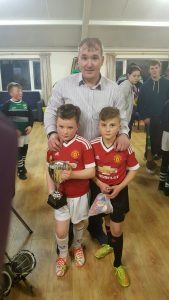 They won the final against at Cloughbawn with the final score ending 1-0. 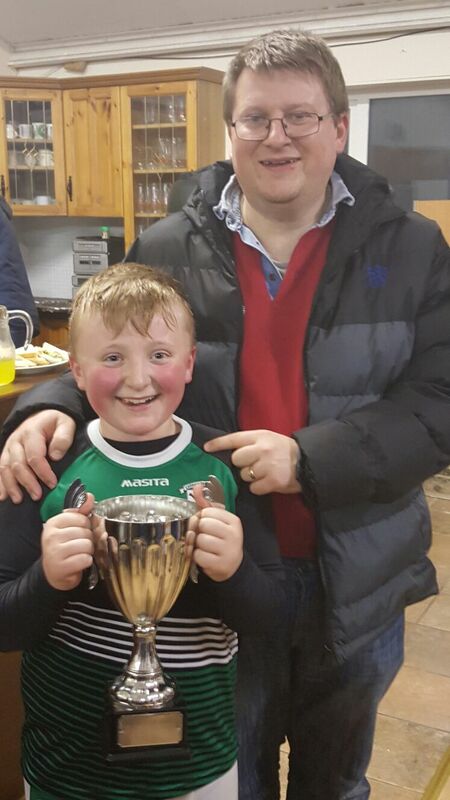 Thanks to all who helped the tournament to become such a success, thanks to all the clubs for participating and the young referees who turned up week on week and did a great job in refereeing all the games.